Seems like it's been a pretty good year for morels in the Northern Lower Peninsula. Have folks had much luck looking for them in the Ann Arbor area? 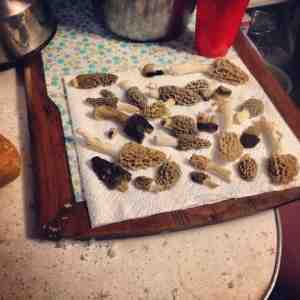 I have only been able to find a single morel down state. I gonna start blogging about few days later. So, I think to read more blogs to enrich my blogging methods. I also read your posting. I like to share my Everywhere you look you will discover used Recreational vehicles for sale, but paradoxically, it's probably not a fun a chance to offer a used RV camper unless it has been seated nonproductive and rarely used for the last season or two. On the opposite, now is a very fun to buy a used RV. I've never seen any of these except in pictures.